During our rodeo trip, we of course visited my Grandma and Grandpa Beckstead at their farm. While there, my grandfather (who is one of the world's best storytellers) gave us a tour of his barn that he has been renovating. The tour was complete with many exciting stories of my grandpa's life growing up on the farm, the horses and other animals that lived in the barn, and the history of the barn. 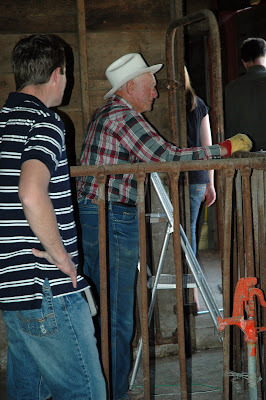 It was very exciting to see all of the amazing work that my grandpa and my uncle have done to renovate the barn. My family has a lot of memories of this barn. My grandpa remembers working in the barn, my mom remembers playing in the barn, and I remember as a child playing in the barn. 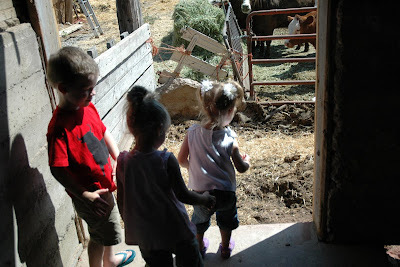 Here are three of the great-grandchildren (Seth, Annissa, and Ava) making some barn memories of their own. 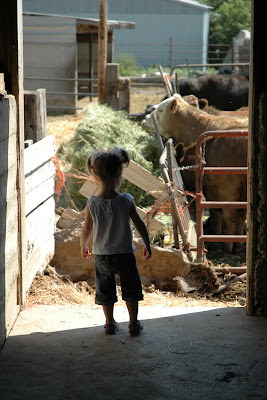 And here is Ava still looking at the animals. 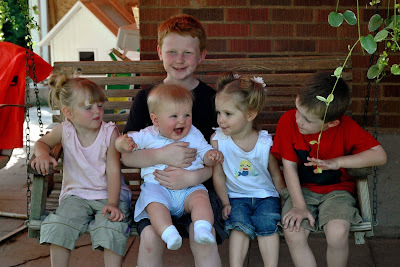 After the tour of the barn, several of the cousins (Annissa, Luke, Zach, Ava, and Seth) sat on the porch swing for awhile. Zach in particular seemed to have been having a lot of fun! 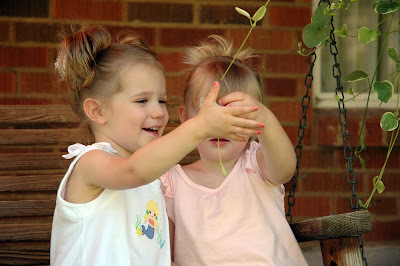 Ava and Annissa were fascinated by one of the hanging plants. 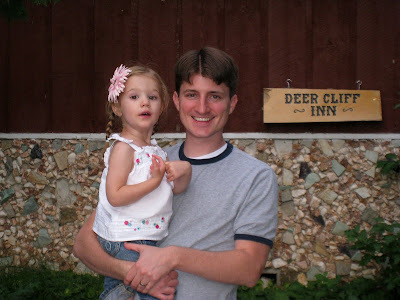 A few weeks after the rodeo, we headed back up to Idaho for more fun. This time Larry was not away on business and was able to come with us. While there, he and the other boys attended a demolition derby, which they enjoyed so much that they have decided to attend every year. 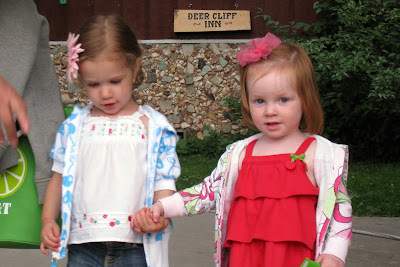 We also went to eat at Deer Cliff Inn, which is a restaurant in the canyons with beautiful views. Ava loves going to Idaho. She talks about it all of the time and always asks me to take her there. 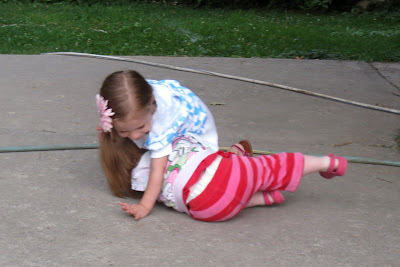 The main reason that she loves it is because when she is there she gets to spend so much time with her best friends—her cousins. ...and that was the end of that photo op.